It isn’t just the day-to-day COPD signs and symptoms you have to cope with—COPD exacerbations are also a danger. A chronic cough is a common side-effect of COPD, which is actually two disorders: chronic bronchitis and emphysema. If you battle with chronic obstructive pulmonary disease, you may already be aware of COPD exacerbations—sudden flare-ups of COPD signs and symptoms beyond normal day-to-day variations. 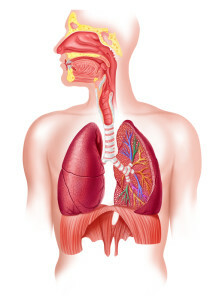 Increased breathlessness along with wheezing, chest tightness, increased cough and sputum, change of the color of sputum, and fever are common features of COPD exacerbations, and the symptoms may warrant either a short-term or long-term change in your medications. Severe COPD exacerbations sometimes require hospitalization. COPD exacerbations are typically the result of lung infections—it’s one reason why an early sign may involve increased amounts of mucus production. Other warnings include a general worsening of your overall COPD signs and symptoms—for example, more shortness of breath than usual, morning headaches, blue lips and fingertips (which red-flags low oxygen levels in the blood), nausea, chest pain, and swelling in your ankles. Where you live may make a difference in how frequently you experience COPD exacerbations. One study found that people with COPD who live in communities that ban smoking in public places were 22 percent less likely to be hospitalized for COPD than those living in communities that do not have such laws (most hospitalizations in COPD patients are for COPD exacerbations). How Are COPD Exacerbations Treated? Three types of medications often used to treat COPD exacerbations are bronchodilators, corticosteroids, and antibiotics (see our COPD Medications List for information on how these drugs work to ease COPD signs and symptoms). When oral corticosteroids are used for an acute flare-up of COPD symptoms, they will most likely be taken for five days. If COPD exacerbations are caused by a lung infection, antibiotics may be used—however, before prescribing an antibiotic your doctor may send a sample of the sputum for analysis to determine if the infection has a bacterial or viral cause, since antibiotics are only effective against bacteria. One study found that people with COPD who received antibiotics within two days of hospitalization for an exacerbation had better outcomes than those treated later or not at all. A review of several studies concluded that a short course (five days) of antibiotics is just as effective as taking antibiotics for longer than five days. Some physicians recommend using antibiotics on a long-term basis to prevent infection in COPD—however, this remains controversial. The best way to avoid COPD exacerbations is to take care of yourself. Eat a healthful diet, drink plenty of fluids, and get plenty of sleep. Don’t miss out on your annual flu shot (and try to avoid crowds during cold and flu season). Also try to avoid triggers that may worsen your COPD signs and symptoms. Stay inside on days that are humid or very cold, and avoid cigarette smoke and air pollution, which contains solid particles (called particulate matter), and ozone. Particulate matter is a combination of very small solid material, such as dust, ash or soot, and liquid droplets. These particles, which are emitted by woodstoves, diesel-powered trucks and buses, and coal-fired power plants, among other sources, can enter the airways and trigger COPD exacerbations. The ozone layer high up in the atmosphere acts as a protective filter against the damaging ultraviolet rays of the sun; however, high concentrations of ozone closer to the ground can be a lung irritant. Sunlight combined with hydrocarbons and nitrogen gas (produced by the burning of fuel such as gasoline, diesel, kerosene, oil, or natural gas) produces ground-level ozone. Go outside only in the early morning or evening, since ozone levels tend to be highest in the middle of the day. Refrain from strenuous outdoor physical activity while air pollution levels are high, or reduce the intensity of the activity. Alternately, consider indoor sports. The American Lung Association provides information about air quality on the website www.stateoftheair.org. A “State of the Air” app is available for smartphones and tablets to check ozone and particulate pollution. air quality index, antibiotics, bacteria, chest pain, chest tightness, chronic obstructive pulmonary disease, cold and flu, copd, copd medications, copd medications list, copd signs, copd signs and symptoms, copd symptoms, corticosteroids, diet, flu, Flu shot, headaches, health, infection, morning headaches, mucus, obstructive pulmonary disease, pain, physical activity, pulmonary disease, severe copd, shortness of breath, sleep, smoking, what causes copd, wheezing.